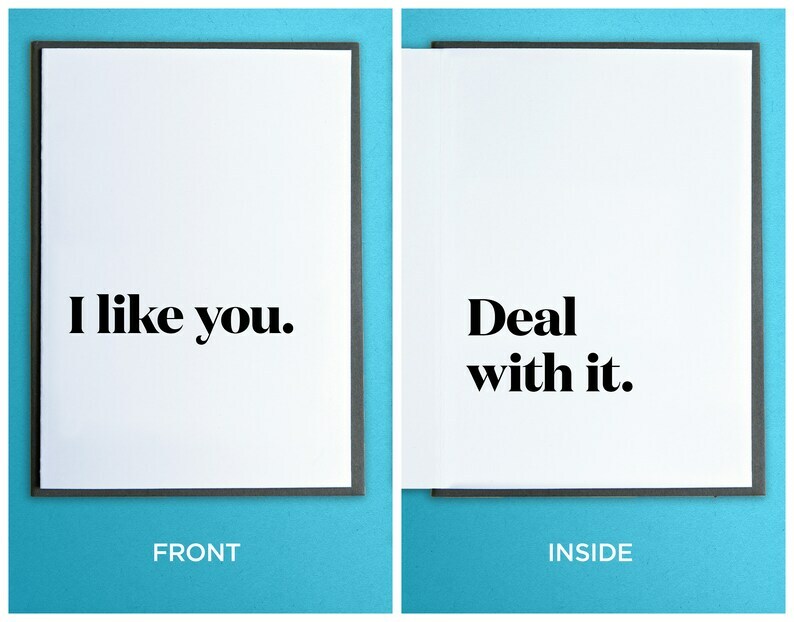 Friends Cards - Girlfriend Card - Boyfriend Card - Funny Anniversary Card - Funny Valentine Card - I like you. Deal with it. Gifts Anniversary - Funny Anniversary Card - Funny Valentine Card - Funny Boyfriend Card - Roses are Red, Violets are Blue, Let's make out. Graduation Card - High School Graduation - Anniversary Card - Galentines Day Card - Best Friend Card - You're great. So great.